with Econo Big Bertha Feeder. Both sides have three adjustments and will swing all the way up if needed. Complete with cast iron center flooring, deck, plastic panels and a flush pan. with cast iron centers, decking and legs. 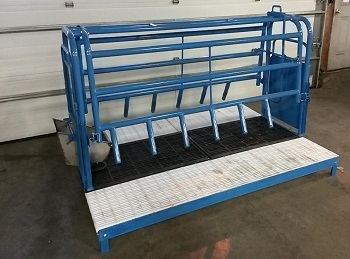 The sow area is easily adjustable from 17" to 24". This provides for maximum sow comfort, and maximum pig protection. 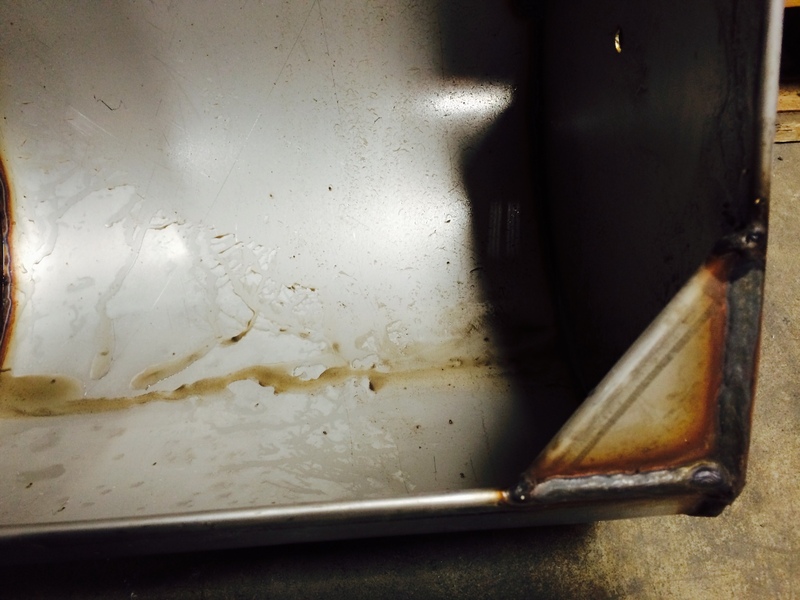 Base flats are made of 3/16" stainless steel, with 1-7/8" solid shaft welded to them. 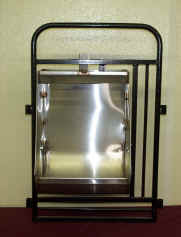 The solid shaft is 8" long and is inserted into the round tubing of the end frame. Front and rear doors will swing both ways, and can be completely removed. They are made with 304 grade stainless steel attached to a frame made of 7/8" solid shaft material. 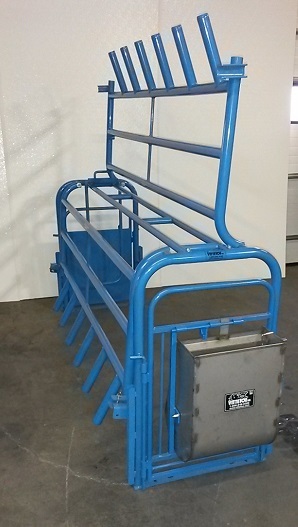 The finger design allows pigs to access both rows of teats with no siderail bar to obstruct them. 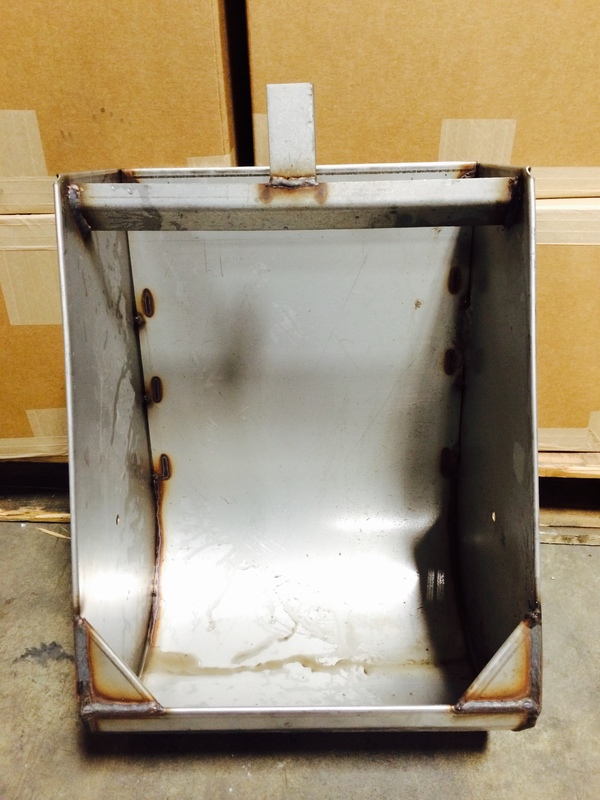 Sow feeders are constructed of 304 grade stainless steel with rounded bottoms and edges. 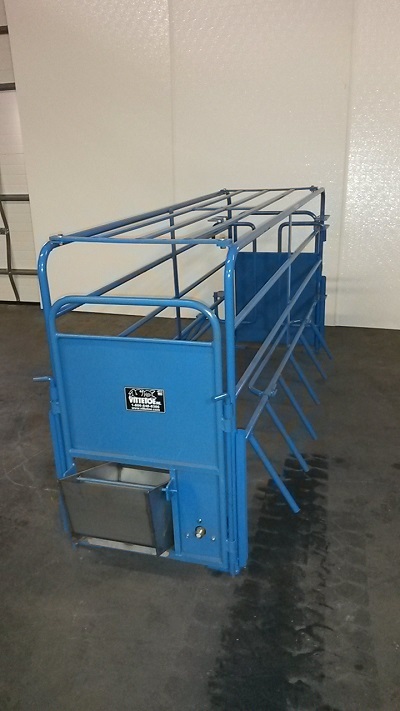 This allows for easy cleaning and prevents injury to the animals. 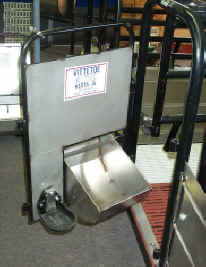 Rump guards are adjustable for maximum sow comfort and minimal pig crushing. 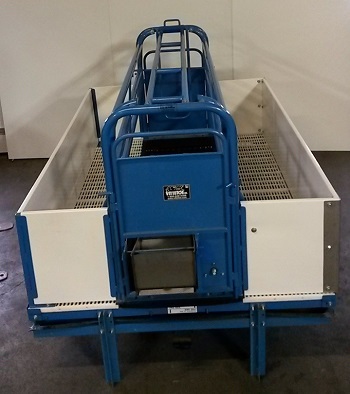 The Vittetoe crate sits on a standard 5' x 7' frame. 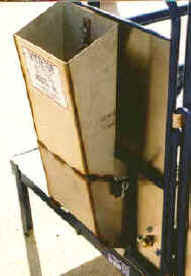 The bottom rail of the crate is 17" high for maximum avoidance of crushed pigs. The bottom of the fingers are rounded and recessed to insure no rough edges. 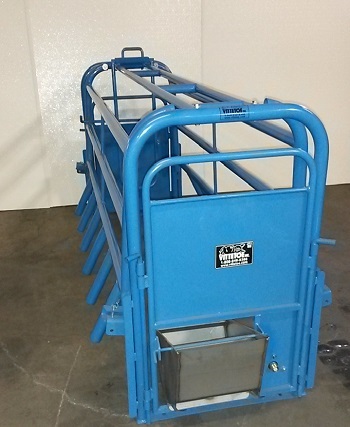 They extend out and are approximately 7" from the floor, to prevent a thin sow from sliding under them. 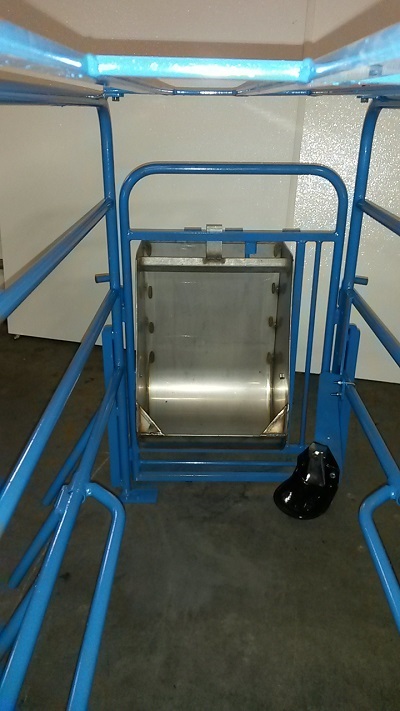 Finger crate allows all pigs access to sow's teats. A Vittetoe quality product designed for today's hog market prices. 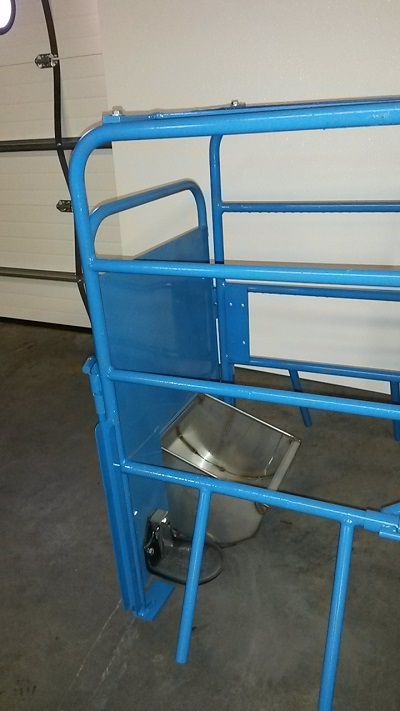 Anti-crush rump rod - two options available, mounted on rear door or suspended from top rail. 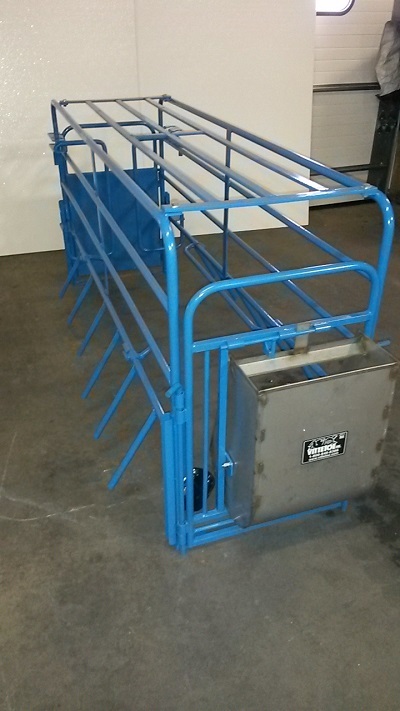 Rump guard pins up when loading sows. 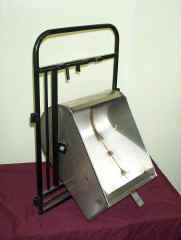 Wide opening and solid sides eliminates sows from moving head side-to-side and wasting feed. Note: This page is no longer being updated so some of the information above may be out of date. Please use these buttons to find current information.